Proudly Australian owned and built on 20 years of industry experience, Victoria Healthcare Products are the leaders in providing innovative products for homecare and community. Care, compassion and understanding are the core values that drive us to provide our customers with exceptional service, reliable products and ongoing support and education. Our commitment to developing positive relationships within the industry has enabled us to offer a diverse range of quality products that meet the changing needs and expectations of our customers. We understand the importance of maintaining independence, health and wellbeing and we’re here to help our customers achieve comfort, security and quality of life. 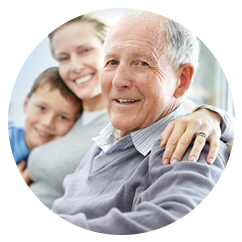 We pride ourselves on being the best incontinence product specialists in the industry and our experienced and friendly team are passionate about providing valuable advice and excellent customer service. Our competitively priced products are delivered daily, Australia wide and can be conveniently purchased from our online shop.